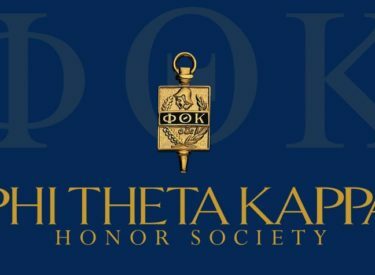 The Seward County Community College chapter of Phi Theta Kappa will host its spring induction ceremony on Sunday, February 4 at 2 pm upstairs in the Student Union on the SCCC Campus. The event is open and free to the public. Fourteen SCCC students will be inducted into the international honor society for community colleges. To be eligible, students must have completed at least 12 hours of college-level courses and have a GPA of 3.5 or higher after their first semester. Students must maintain a 3.0 to continue being a member. The students being inducted are Obadiah Barnett, Jordan Cordrey, Rogelio Pando, Cindy Lucero, Joel Berumen, Courtney Eagan, Moises Alvarez, Sheney Redmond, Javier Avitia, Blanca DeLaTorre, Abby Lovato, Huy Cam, Elizabeth Heathman and Valeria Corrales. Ty Hughbanks, who is a sponsor for Phi Theta Kappa, is hoping that the public will come out to the ceremony. “It’s important to recognize the academic accomplishments and achievements of these students,” said Hughbanks, who is a biology instructor at SCCC. According to Hughbanks, a major benefit of being a member of Phi Theta Kappa is financial. While academics is the main focus of Phi Theta Kappa, there are other components as well such as developing leadership skills through community service. The SCCC chapter in past semesters have helped out at Crossroads Center, a horse therapy facility for people with disabilities and special needs, and El Rancho Excotia along with Pathways, another SCCC student organization.